A previous blog introduced four Water, Energy & Food-nexus (WEF) relevant innovations which will be the focus of Stepping Up. We will use case studies of these innovations to establish an understanding of their potential for scaling up to address WEF-nexus challenges. These innovations are anaerobic digestion, insects as a novel source of protein, and the social as well as technical recovery of value from surplus food. They have all been identified as developments with the potential to alleviate environmental and social burdens across the WEF nexus, and whose impacts under different scenarios merit more attention. This blog series discusses in greater depth the rationale for selecting these particular innovations, starting in this blog with anaerobic digestion. Anaerobic digestion (AD) involves the breaking down of organic materials in the absence of oxygen into biogas (a mixture of methane and carbon dioxide) and digestate, a co-product rich in fertiliser nutrients. Feedstocks for AD include agricultural products and by-products such as animal slurries, crops, crop residues, as well as other biodegradable wastes such as food waste, paper, and sewage. 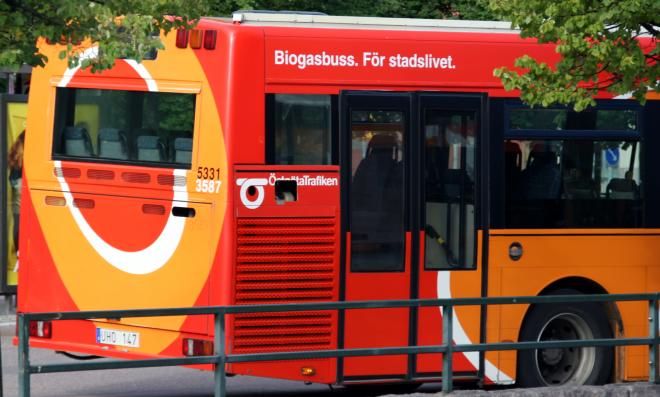 Biogas can either be burned directly to produce heat, electricity or both, or processed into biomethane for use in transport or direct injection into the grid. The digestate can be used to replace fossil-based nitrogen fertilisers in agriculture and aid in improving soil structure. As such, AD offers attractive solutions to dealing with a broad range of organic wastes, while producing valuable products with a reduced impact. In contrast, these same organic wastes may produce harmful emissions if left untreated and disposed of inappropriately, for example through watercourse pollution or uncontrolled methane production, which is a potent greenhouse gas. Development of AD technologies can be traced back to the 19th century, with deployment at scale taking place throughout the 20th century. The early development of AD in developing countries, where the focus was on the production of biogas as a valuable resource, can be contrasted to that in the West, where controlling wastewater and manure pollution was the primary driver. In the UK, AD infrastructure is made up of plant with a range of capacities operated as a blend of waste-fed and farm-fed systems. In June 2016, capacity reached 415MWe from 327 sites (not including sewage treatment plants), with over 200 of these being in agricultural settings, a sector which shows the most rapid uptake in terms of number of plants in 2014/15 (ADBA, 2016). However, key support mechanisms (notably the Renewables Obligation and the Feed in Tariff) under which growth has been supported in the UK are now either closing or constrained, and market growth in this context is expected to slow considerably over the next few years. However, the potential impacts of expanding AD capacity in the UK are significant. Analysis by the ADBA suggests that AD methane production could rise fourfold should access to all available feedstocks improve, and research and innovation in processing may further increase market potential over the long term. As noted, recent sector growth has primarily been driven by agriculturally-fed systems. When these utilise lower-calorific value feedstocks (manure and slurries) in smaller-scale units (<500kWe), the combination of high capital costs, variable energy prices, and low incentives can make the economics of such projects challenging (IEA Bioenergy). Growth in municipal/commercial part of the sector however, which typically utilises higher calorific-value feedstock, has been constrained by a combination of factors including a fall in gate fees, low adoption of household food waste collection, and the removal of renewable support incentives. It is likely that overcoming the logistical challenges associated with accessing commercial and municipal waste would increase the sector’s potential significantly. Exploring AD innovations is clearly of relevance to understanding nexus challenges. While it is energy system drivers that have promoted sector growth, the development of AD impacts upon energy, food and water systems alike. With respect to the energy sector, the shift to distributed energy production is one of the most disruptive moves from the status quo in recent years. Along with other forms of bioenergy, AD can contribute to both renewable electricity and renewable heat generation, and do so in a way that can support, rather than challenge, grid optimisation through a variety of storage and flexible generation options. In terms of impacts to the water and food (and farming) sectors, installing AD offers a new method for dealing with food and farming wastes while production of digestate which can reduce the amount of fossil-fuel based fertiliser needed – and the water/energy required in the production/transportation of that. Energy cost savings and the potential to generate revenue can contribute to agricultural diversification strategies. Furthermore, with AD replacing the need for conventional gas and electricity production/generation, there is the potential to reduce some of the water demanded through these processes. The governance of AD similarly spans food, farming and water systems. Innovation practitioners are typically comprised of individuals and companies already engaged in farming or the wider food production industry, and their activities are shaped by the institutions, policies and regulations embedded within water, energy, and food systems. Understanding the current and future role of AD in addressing WEF challenges therefore involves understanding governance across nexus dimensions. The WEF nexus is so vast in scope and scale that the potential of any single innovation to produce a step change of transformational quality is limited. While this may also be true of AD, it does offer a lens through which we may analyse some aspects of transformation. AD comprises the establishment of new value chains, infrastructure and institutions, in particular for managing waste, and as such is encouraging shifts in perceptions and behaviours – in households, firms, and government – in terms of repackaging waste as a commodity rather than a burden. Such shifts are instrumental in driving regulatory change, around, for example rethinking the definition of waste, which has hitherto been a barrier to the deployment of some AD projects. Aside from exploring the potential benefits of scaling up AD innovations however, there are other similarly challenging aspects that deserve attention. For example, given the UK’s reliance on gas (and existing gas infrastructure) for heating requirements, to what extent can replacing mineral gas with biogas and other green gases be regarded as transformative? What would an enlarged AD sector mean in terms of the long-term need to decarbonise the heat and transport sectors? Is AD the most effective use of waste resources? Does the use of dedicated (and often imported) crops in AD plants constitute an own-goal in sustainability terms? Can the traditional barriers of economics be overcome with the creation of new understanding of value? In framing AD as a potentially promising innovation for addressing nexus challenges, Stepping Up seeks to address at least some of these issues. The next blog in this series will cover the potential for social recovery of value from surplus food to reduce environmental impact, and also the wider learning that may be gleaned from its application.